Hoi An is my favourite place in Vietnam – it has incredible food, beaches, culture and architecture. The closest airport to Hoi An is Da Nang and it is about a 40 minute drive (this can change depending on traffic). 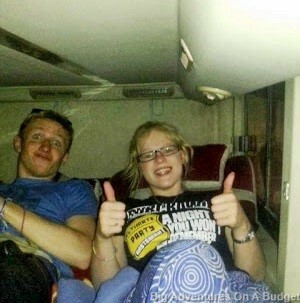 From Hanoi you can take a cheap overnight train which takes about 18 hours. If you don’t have the time for that take a short 1hr flight with VietJet Air for around $65. From Hue you can take the train to Da Nang for around $10 and this will only take a few hours and is pretty comfortable. You can take a cheaper bus for $5 and this will take slightly longer however is direct. From Nha Trang you can take a 12 hour bus for about $15. If you want to stay at a hostel, I would recommend either Sunflower or Greenfields Hotel. I stayed at Sunflower Hotel and the staff were sometimes disorganised, however I was there by myself and the social atmosphere well outweighed that. One of the biggest bonuses was their free breakfast. This was a huge buffet of all western and local food and filled us up for most of the day! The only downside is the location, as it is in between the Cua Dai beach and Old Town (about 10minutes to each) and there isn’t much to do directly where it is. Alternatively, there are many cheap luxurious hotels in Hoi An. I would recommend the Lana Villa and the Star Fruit Villa. Both were good value for money and in great locations. Lana Villa had particularly great customer service. Hoi An has a beautiful Old Town by the river which has been listed as a UNESCO World Heritage. I would recommend spending a day or two wandering the authentic streets trying all the street food you can find. Here you will also find the famous Japanese Bridge. There is a beautiful waterfront in the Old Town that hosts many restaurants and bars. This area is covered in beautiful lanterns and pop up street vendors. If you enjoy snorkeling or scuba diving, I would strongly recommend taking a day out to Cham Island. There are two diving companies that operate in or around Old Town and offer the day trip. It includes transfers from your accommodation, 2 dives and lunch on Cham Island. If you want a serene and private beach experience you should visit Hidden beach, nestled in between the more popular and busier An Bang and Cua Dai beaches. Here you will be left to relax and there are no street vendors coming around trying to sell you souvenirs. There is a restaurant there that also has a massage parlour, which just adds to the relaxing experience! Take a day trip out to the stunning and fascinating My Son Sanctuary temples. The region is very historic and is a UNESCO Heritage site. It is 1 hour from Hoi An and a great way to see it is by doing a half day tour which includes the transfer to My Son, a guided tour and then a boat ride back down the river into Hoi An with lunch. You can book a group tour once you are in Hoi An (the online tours are expensive) for under US$10. Tam Thanh Mural Village is in the coastal town of Tam Ky, 50km south of Hoi An. As the name suggests, it is a village where beautiful artistic murals have been painted on all of the buildings. This was a joint project with a Korean community and has brought a great deal of tourism to the small town. The Marble Mountains are 5 hills and mountains made of limestone and marble. Inside them are a number of caves with beautiful carvings. As you walk around the site you follow a trail walking from cave to cave. There are also some walks you can do with amazing viewpoints (although they are all uphill and quite physically demanding). As it is outside of Hoi An, you need to take a car. There are many tour companies that offer this as a day trip, but it is much cheaper to arrange your own private car, particularly if you are in a group of 2 or more. We asked our hotel to organise a car to take us there and pick us up again after 2 hours (that was plenty of time). It is very easy to walk around by yourself and read about the caves. An Bang is a wonderful white sand beach 6km from the Old Town. If you like to cycle, it is a great idea to hire a bicycle and ride to the beach, as this is the most popular way to get around Hoi An. On your way you pass the beautiful rice fields and vegetable farms. 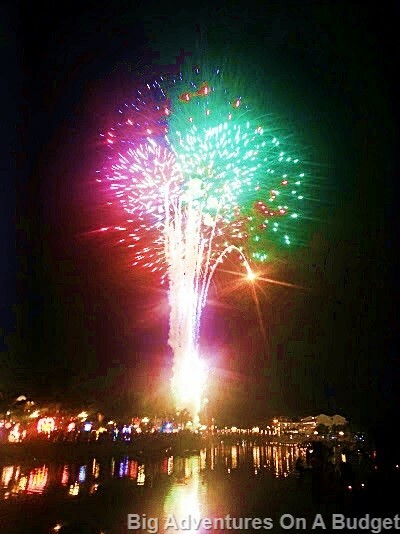 Hoi An is tailor capital of the country. There are hundreds around and it is hard to choose, so try and get a recommendation from someone. You should pay around US$25 for a tailored shirt. This is a unique dining experience to say the least. The Banh Mi Queen has a cart at 115 Tran Cao Van Street and sells the best Banh Mi (Vietnamese specialty of crispy pork salad rolls) for only $1 AUD. You can either take away or sit in what seems to be her living room and enjoy some of the best hospitality on offer. She has become super well known through word of mouth between travellers and this reputation is well deserved! 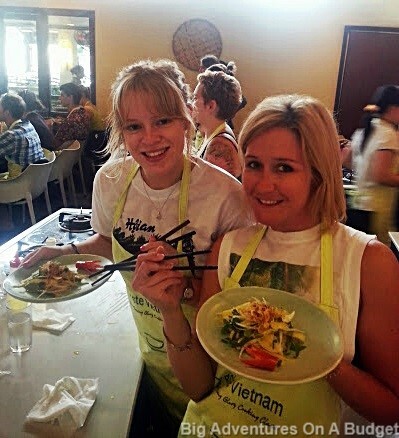 There are some fantastic cooking schools in Hoi An that host morning or afternoon classes. You are shown local ingredients, cook an array of dishes taught by established professionals and feast on them afterwards. 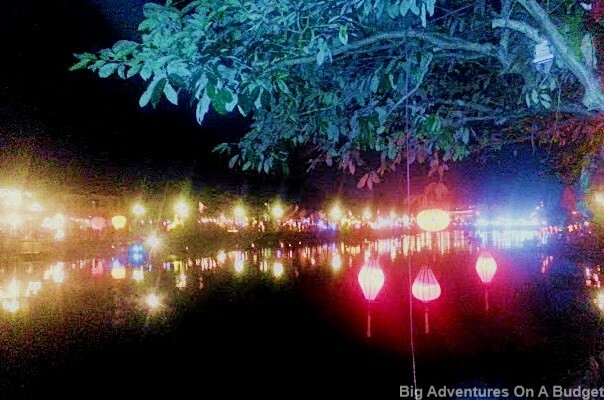 For dinner, you should check out the Hoi An night markets. There are some of the most delicious street food vendors and it is a great way to taste a variety of different local food. Along the waterfront there are bars from one end to the other and they will all coax you into drinking at their bar with offers of free drinks and happy hours. So find the one with the best atmosphere and you’ll have a good time. The hostel I stayed at offered free taxi rides to a nightclub ‘Volcano’ bar which offers $2 all you can drink spirits until midnight. I know what you’re thinking, firstly how do they afford this, secondly is it methanol?! We were certainly skeptical at first but we slowly eased into it and never had any problems with the alcohol quality (just keep your wits about you). There are also meant to be great beach parties on Cua Dai beach I heard about, however never quite made it there. I would recommend a minimum of five days in Hoi An, however you could stay for weeks and not run out of things to do. Take your time and enjoy Hoi An! 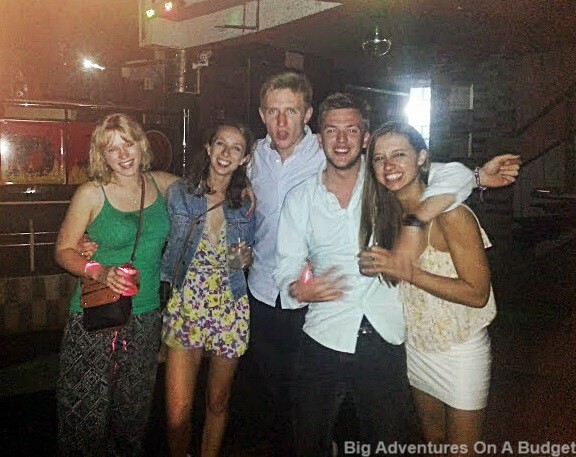 This entry was posted in Asia, Vietnam and tagged Banh Mi, beach, bicycles, cooking class, exploring, Hoi An Vietnam, street food. Bookmark the permalink.